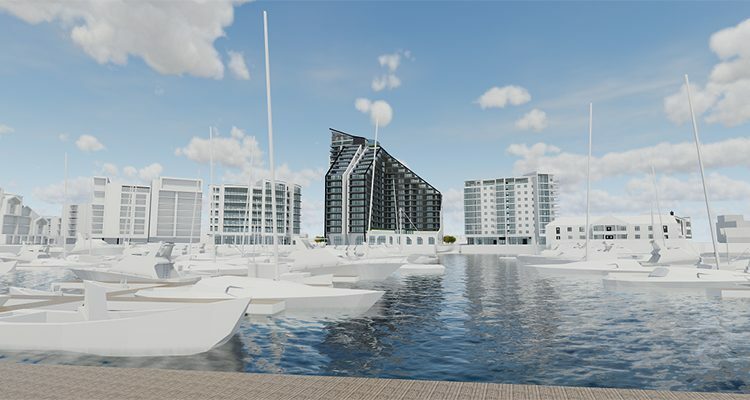 DCA managed a public consultation for its client Sutton Harbour Holdings plc showcasing the company’s plans to create a striking new building for Plymouth on a prime harbourside location. Organising, managing and delivering successful public consultations, planning exhibitions and community engagement programmes for major new developments is a key strength for DCA’s experienced team and we have been proud to support many of the South West’s most significant planning applications and developments in recent years. This year, Sutton Harbour Holdings plc outlined its plans to create a landmark new development on the Sugar Quay site in Sutton Harbour, offering 7 to 19 storeys of high quality residential apartments in staggered heights, and a ground floor featuring commercial retail and restaurant units, with an enhanced urban realm to allow the public to enjoy its unrivalled south west-facing position. DCA worked closely with the project team including planning consultants Turley and architects AWW to organise and manage three public exhibitions in June 2018 to enable local residents and interested parties to view the proposals, and to feedback their views about the scheme, ahead of a planning application being submitted to the local authority. A webpage showcasing the scheme was also prepared. SHH plc submitted a planning application in July 2018 and, subject to consents being received, aims to complete the building by 2022.